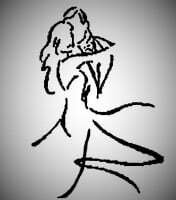 I teach Ballroom Country and Swing Dance Lessons around the Harrsiburg Area. Below are the different classes formats i offer and different locations i instruct at. I have linked each business/studio that i teach out of below so you can check them out. However, please Contact me directly for scheduling or questions. A private lesson is a lesson that consists of you (or you and your partner) with me, working on your dancing detailed to what your goals are. There are several reasons why private lessons would be the class format to best fit you. 1) you have an event coming up, such a wedding that you want to work with one specific song or specific dance or dance styles. 2) you wish to have one on one instruction so that you may benefit from the individual attention and advance faster towards your goals. Private Lesson Rates are $60 for a 50 minutes time slot designed for individual attention for one or.two people. A group lesson is a lesson that consists of myself and a group of dancers who are around your level. Group lessons are surely the most fun and social way to learn to dance. My group classes are always labeled by level and dance that we will be working on in each class. Group classes of course work best when used in conjunction with private lessons to perfect the technique to the steps you may learn in class with individual attention. Group Lesson Rates vary between location. They are regularly $10 for a 45minute class. If you have your own group of people you would like to take lessons with together. This can be worked out. Price and availability will depend on location. I offer several different times to put your new skills to use!! Prices on these vary depending on event. Some are free dances and some may be a full dance weekend. So check out my calendar for details. IMPORTANT NOTE: Below is a link for each business/studio that i teach out of, so that you may explore them and become more familiar with each one. However, please contact me directly for scheduling or questions concerning my lessons. Harrisburg, PA Ballroom Country and Swing Night Night is every Thursday at Spinning Harts. There are 3 Group Lessons available that evening varying in dance and difficulty level. Private Lessons availabe during Thursday afternoon and evening, and some Sundays upon availabilty. 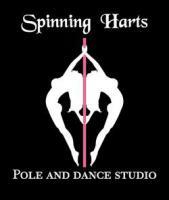 Camp Hill, PA I teach Private Lessons only out of ATF Dance Studio: currently scheduling lessons Monday Morning and Afternoons. 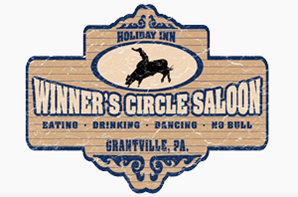 Grantville, PA ' The Winner's Circle Saloon has always supported dancing in the Harrisburg area. Every other Sunday i teach a beginner and intermediate lesson from 6:30 to 7:30 and play music until 10:30. All for free. Please make sure you thank them by supporting their establishment. Mini-Private Lessons are available on the Sunday's i am there for a discounted price. Ask me for details.